He has explored how African Innovation truly has the potential to change the African narrative, as well as global and pan-African trends shaping the landscape in Africa. More recently he has begun to explore the overlap between Social Sciences, particularly Anthropology and the rise of African technology, arguing that we may have underestimated the value of African Innovation. He is also the founder of the Disrupting Africa Encyclopedia, an online platform dedicated to identifying the 30 million Africans who can change the narrative and legacy of Africa. 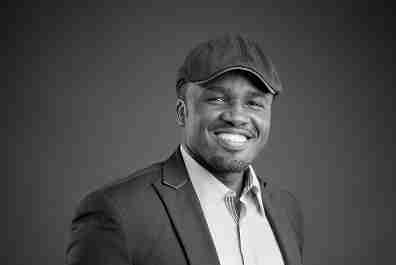 He is a writer for CNBC Africa, focusing on the social and technological trends in African Innovation. Notably, his drive of the ‘freemiumâ€™ concept in the mobile financial services space resulted in him being featured in a number of media outlets, including the eNCAsTechReport, Channel Africa, PowerFM, SABC’s Lotus FM, Smile FM, HumanIPO, CLIPDC and ITWeb. Additionally, Oranye has spoken and chaired at various conferences, including Mobile Money Africa, NigeriaCom, AfricaCom, FinanceTech, CLIPDC, Mobile Money Expo, Cards & Payments Africa and ACCA’s CXO Event. Recently, Nnamdi Oranye – Digital Disruption was a judge at the prestigious AfricaCom Awards Ceremony, which recognises exemplary telecommunications achievements across Africa. Oranye sits on the 2014 Mobile Money Africa Advisory Board, as well as the AfricaCom100 Research Board, and he has been named as one of the “100 most influential names in Africa’s telecoms, media and ICT industry”.